Dining Dish: When you think of extra virgin olive oil do you think of California? When you think of extra virgin olive oil do you think of California? 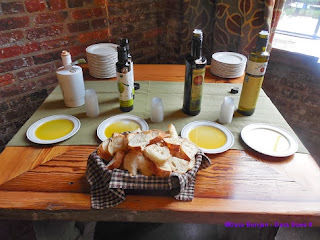 For most people, quality extra virgin olive oil comes from Italy, Greece and Spain. Few think of California as being a hub for quality extra virgin olive oil but it is. The olives arrived on California soil in the late eighteenth century when Spanish missionaries planted olives at each of their 21 missions from San Diego to Sonoma. A growing industry, olive oil thrived through the 19th century but its growth seemed to stand still during the 20th century, when eventually health conscious Americans discovered the flavor and health benefits of olive oil. Since then the California Olive Oil industry has been flourishing and producing superior quality extra virgin olive oils.